There's more to the South Pole than just some ice and a pole. A lot more. In fact the bottom of the world is a veritable hot bed of international scientific experiments. Like the Askaryan Radio Array, subject of this week's podcast. 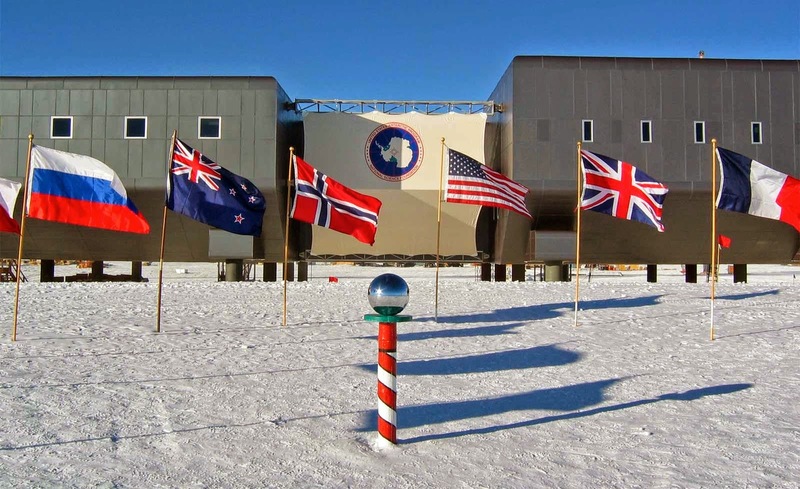 The pole at the South Pole in front of the Amundsen-Scott South Pole Station. (ISNS) -- The birds and reptiles that inhabit the Galapagos Islands famously provided Charles Darwin with key insights into evolution by natural selection, but there's been little research into how the animals came to be distributed across the different islands. Now a new study suggests that rising and falling sea levels played a key role in the distribution of species across the Galapagos by repeatedly connecting and then isolating the 16 equatorial islands. The findings, published online in the Journal of Biogeography on April 23, suggest that over the last half million years, major fluctuations in sea level have regularly reconfigured the Galapagos' geography. This has in turn fundamentally shaped biological evolution on the islands. Last summer, a group of scientists from Georgia Institute of Technology initiated one of the few Massive Open Online Courses (MOOCs) of its kind. Their approach has inspired other physics educators locally and internationally. Michael Schatz, a professor of physics at Georgia Institute of Technology, along with a group of colleagues is now nearing completion of the third class of their MOOC on introductory physics. The course, called “Your World is Your Lab” and offered through the education technology company Coursera, offers its fair share of recorded lectures, discussion boards and problem sets, but in order to pass the class students must also complete a series of lab assignments. Most professional scientists can recall their undergraduate days and the many hours spent with Bunsen burners, microscopes and diffraction gratings. However, many who enroll in MOOCs do not have the same access to lab materials in a safe environment compared to students on a college campus. This can pose a major challenge when it comes to establishing curriculums for science MOOCs like the classical mechanics course Schatz’s group coordinates. But Schatz sees the challenge as a key opportunity to reimagine traditional educational practices. Schatz said traditional cookbook labs repeat old experiments and do not necessarily offer a way for students to connect what they learn indoors with what they experience every day. 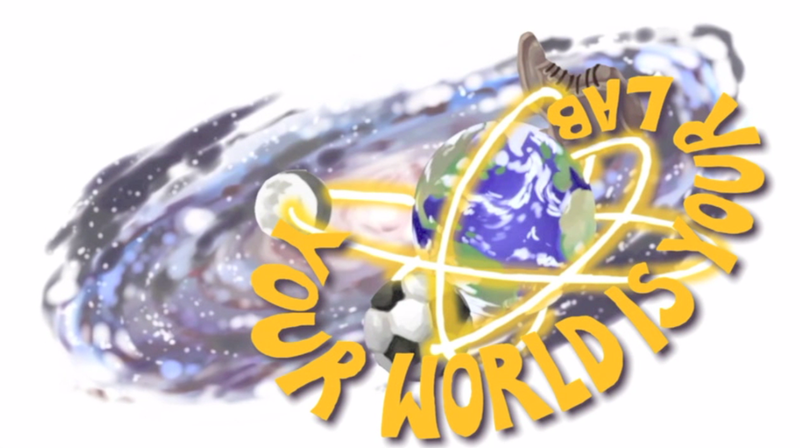 “The World is Your Lab” takes a different stab at the lab. This week on the podcast I chat with science writer Dan Falk about his new book The Science of Shakespeare. William Shakespeare lived in the thick of what we now call The Scientific Revolution: so did the scientific ideas taking root during this time influence the Bard's work? Scholars are still debating this issue, as Shakespeare never said anything definitive about the science of the day. Falk explores some of the theories, which range from casual mentions of infinity, to the idea that the entirety of Hamlet is an allegory for the historical debate about whether the sun or the earth lies at the center of the solar system. Listen to the podcast to hear more! Think back to those fundamental physics classes you took in college. For most, those memories involve a large lecture hall, a chalk board decorated with numbers and letters and a voice explaining how they all connected. For a handful of other students, however, their memories are very different. Left: Einstein’s summer house in Caputh near Berlin. Einstein used to spend the summer months working and receiving guests in this house. The group got a detailed tour of the house. 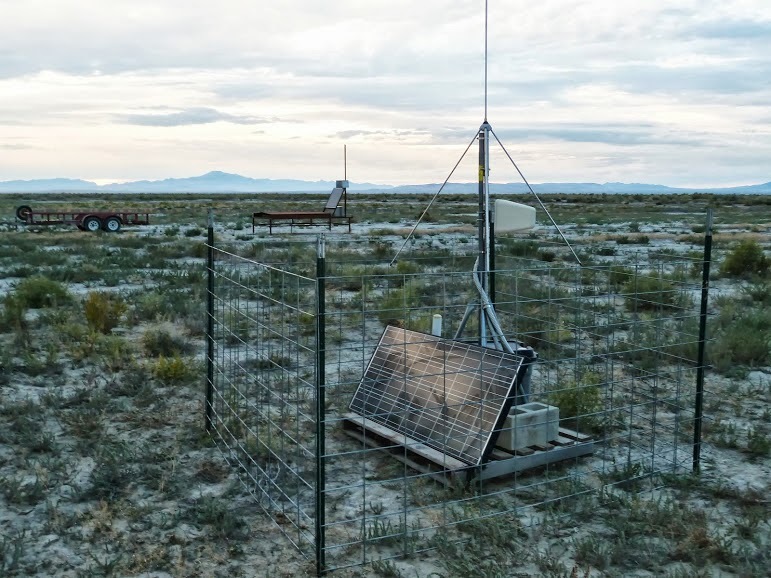 yet the observatory remained an active research site for other solar physics for years. small stone ("a stone" in German is "ein Stein"). In 2008, physicist Gerd Kortemeyer and historian of physics Catherine Westfall, associate professors at Lyman Briggs College at Michigan State University, took a trip overseas with a group of undergraduate MSU students. Over the course of five weeks, the groups visited Germany, Switzerland and Denmark where they not only learned, but experienced first-hand the sights and sounds out of which modern physics grew. Kortemeyer and Westfall offered the course again in 2011. Right: Einstein’s 1905 apartment in Berne’s Kramgasse. 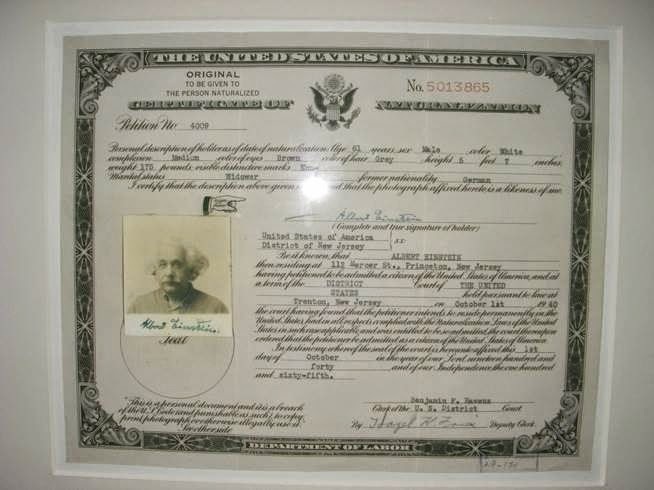 as a patent clerk in the nearby patent office. at the Einstein Museum in Berne. Between 1905 and 1945, scientific luminaries like Niels Bohr, Albert Einstein, Werner Heisenberg and Max Planck forever changed the modern world of physics. The Bohr model of the atom, Einstein’s theory of relativity, the Heisenberg uncertainty principle and quantum theory -- these concepts matured while these men strolled down some of the same streets, lounged in the same apartments and lectured in the same rooms that the MSU students visited during their time in Europe. Stars have been exploding for billions of years, and some of those explosions are so massive that we can see them with the naked eye here on earth. Novae and supernovae (novae's more explosive older sibling), are the result of runaway nuclear fusion at the heart of white dwarf stars, and their brightness often outshines entire galaxies. Despite their size and brightness, supernovae are relatively rare — especially those bright enough to be seen with the naked eye — and they often fade within weeks or months. Records of supernovae visible to the naked eye crop up roughly every 250 years, and several cultures with written histories have recorded the dozen or so such events over the past 2,000 years. 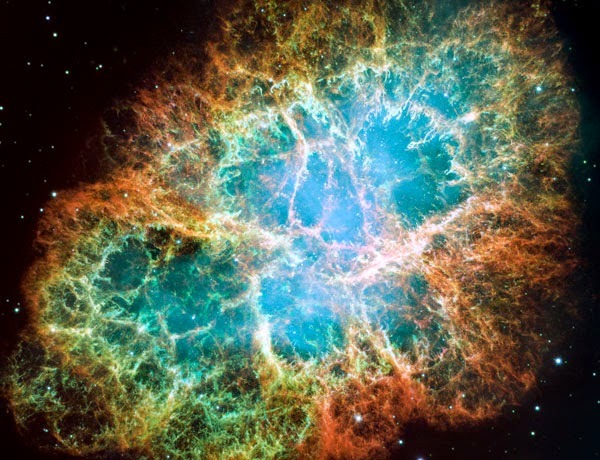 The Crab Nebula, a remnant from a supernova that occurred in the year 1054. But some supernovae are only visible in the southern hemisphere, where many cultures have passed down oral traditions instead of written histories. Consequently, there may be evidence of more historical supernovae lurking in the oral traditions of indigenous cultures. Although some oral traditions allude to possible supernovae in the past, confirmation remains elusive. Tens of thousands tune in to watch. Because black was not good enough. you might end up in a hospital. It is the most exciting experiment of nothing happening. “I don’t always drip, but when I do the crowd goes wild,” the University of Queensland’s Pitch Drop Experiment would say if it could speak. There are a handful of pitch drop experiments around the world, but none as old as the one at the University of Queensland in Australia. In fact, theirs is the world’s longest running laboratory experiment. Now in its 86th year of existence, the pitch drop is at it again, generating headlines. You should know that this might be the most anticlimactic thing you ever watch. The experiment consists of a funnel filled with a black substance called pitch. About once every decade the pitch will drip. Last year, the world tuned in to watch the ninth drip form. Not fall. Form. More than 13 months later, the tear-shaped droplet is still hanging on. Yesterday, it moved a few centimeters to merge with the eighth drop. You can see the momentous event, 13 months in the making, below. In the last 86 years, no one has ever witnessed a drop fall from this pitch drop experiment. The recent merging of the ninth drop with the eighth is a sure sign that the drop will fall, and if you see it when it falls in real time, "your name will make the official record and make history," according to The Ninth Watch website. The website offers live video streaming of the experiment, and if you're logged in when the ninth drop falls, then your name will forever be associated with the experiment that never ends. Exoplanets that are most likely to host life have eluded detection, until now. As far as we understand, the most likely place to find extraterrestrial life outside of our solar system is on a planet that is similar in size to Earth and located within the habitable zone of its host star where temperatures are just right for the abundance of liquid water. Today, a group of scientists announced that with Kepler they have discovered the very first Earth-sized planet in a habitable zone. Before now, scientists have observed Earth-sized exoplanets that were too close to their host star and therefore too hot for liquid water. Scientists have also observed a healthy amount of planets within their habitable zone, but the planets are too large to likely contain a rocky surface on which life could exist. Up to this point, either exoplanets were the right size but too close or they were the right distance but too large. But Kepler 186f is both the right size and distance to potentially harbor life. It would be “just right” in Goldilocks’ eyes. “We can now say other potentially habitable worlds similar in size to Earth can exist, and it’s no longer in the realm of science fiction,” said Elisa Quintana earlier today at a NASA teleconference. Quintana is a research scientist at the SETI Institute in Moffett Field, California and lead author of the paper detailing the team’s results. The paper is scheduled to be published tomorrow in Science. 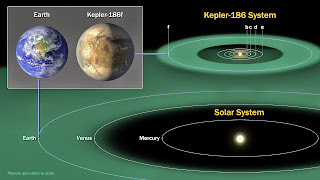 Kepler 186f is about ten percent larger than Earth and orbits a cooler star about half the mass of our Sun located approximately 500 light years away. So, it’s not in our immediate neighborhood. The star that Kepler 186f revolves around is what astronomers call an M-dwarf, which means there might be more planets like Kepler 186f that are nearby said second author of the paper, Tom Barclay during the teleconference. From the Kavli Foundation announcement . . .
"THE FIRST DEFINITIVE PROOF that the universe underwent an almost unimaginably fast expansion when it was only a trillionth of a trillionth of a trillionth of a second old has taken the world by storm. This sudden growth spurt was first theorized more than three decades ago. Yet only last month did astrophysicists reveal "smoking gun" evidence that the universe swelled from microscopic to cosmic size in an instant — an announcement that's being compared to the discovery of the Higgs boson. "On April 18, two of the scientists who made this groundbreaking discovery will come together for a conversation with two of the pioneering leaders of the field. Together, they will examine the detection of a distinctive, swirling pattern in the universe’s first light, what the swirl tells us about that monumental growth spurt, and the many implications on the way we understand the universe around us." (ISNS) -- The roar of the crowd is a major part of the excitement of attending a sporting event. A noisy, engaged crowd makes for a better experience for fans, and is often credited with helping the players on the field, too. Jack White, former lead singer of The White Stripes band, recently released a music video of “High Ball Stepper” – a song off his new solo album Lazaretto – that takes advantage of the alien-like properties of non-Newtonian fluids. Although you won’t learn how the science behind the music video works from watching, you can certainly see the cool effects of non-Newtonian fluids while listening to White rocking out on his electric guitar. If, however, you do want to learn the science behind the scenes, then keep reading. In the video, a gelatinous mixture is poured over speakers. The fluid then begins to bubble and dance to the beat of White’s tune. The volume and subsequent vibrations of the speaker increase as the song progresses, reaching max volume at about two minutes in. The variation in the strength of the speakers' vibrations gives you a nice look at both the liquid and solid-like properties of non-Newtonian fluids. Toward the beginning of the song, the fluid looks as if it’s trying to boil. This is the result of interfering waves. Liquids will react to a force by creating waves. If those waves interfere, then you sometimes get raised localization points, which are the lumpy bumps that appear in White's video and the video below. About two minutes in, you’ll see the fluid fly up for an instant. During that moment, it looks more like a composed pancake than a disjointed mass of water. This is the solid-like behavior that non-Newtonian fluids adopt when they experience a rapid force. If you're living in North or South America, look toward the sky tonight for a total lunar eclipse. 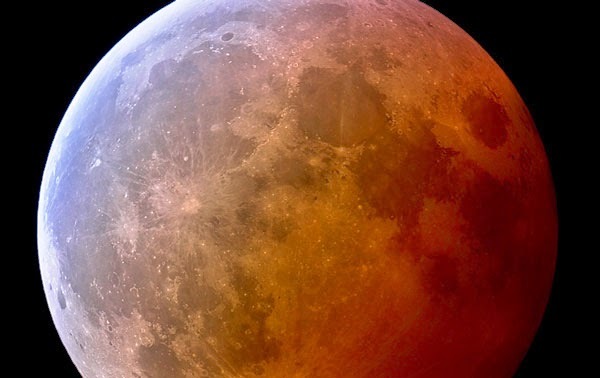 Beginning around 2 AM Eastern Time tonight (technically April 15th), the moon will pass into the Earth's shadow, and the eclipse will peak between 3 and 4 AM Eastern Time. Lunar eclipses (varying from total eclipses to barely noticeable ones) are fairly common — typically two to three occur each year. Tonight's eclipse, however, is just the beginning. After tonight, three subsequent lunar eclipses will all be total eclipses as well, each separated by about six month intervals. This "tetrad" of lunar eclipses occurs infrequently; in fact, only about 16 percent of lunar eclipses ever belong to a tetrad such as the one beginning tonight. A lunar eclipse from 2007 captured by Jens Hackman of Weikersheim, Germany. Australia's National Health and Medical Research Council (NHMRC) has determined that homeopathy is utterly, totally, glaringly useless. It's nice when governmental organizations get things right. You should enjoy the whole thing, but the key message comes at about 1:40 into the clip. Some unexpected things are happening at Wentworth Institute of Technology in Boston, MA. First-year engineering students are spending nearly three times longer in the classroom and senior industrial design students are taking an interest in physics. Greg Sirokman and Derek Casio. This is due to the ingenuity of WIT faculty members James O’Brien, assistant professor physics, Greg Sirokman, assistant professor of chemistry, and Derek Casio, assistant professor of industrial design. 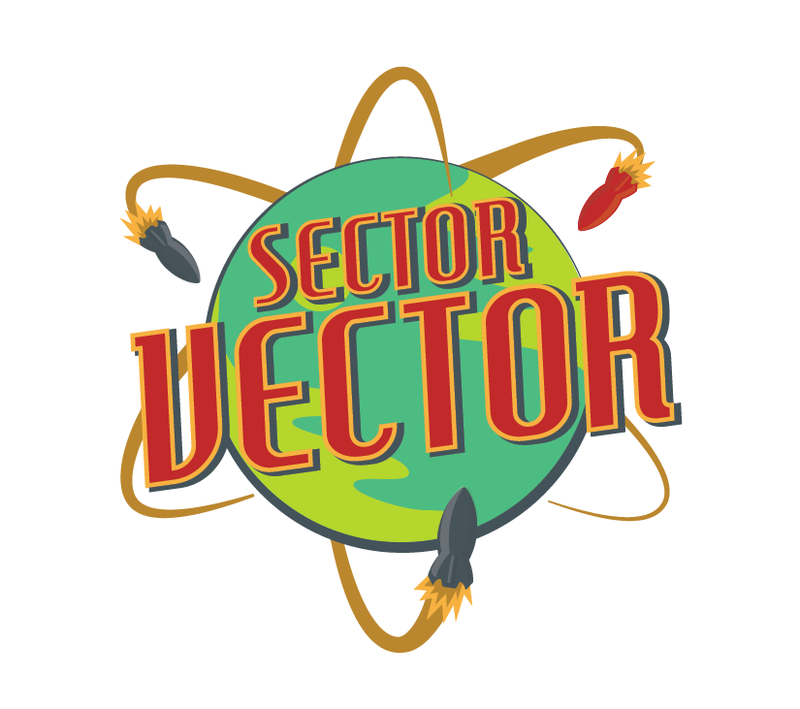 The game that is engaging student learning in novel ways and bringing WIT students from different fields of study together is called Sector Vector. It is a board game that the three creators say takes learning of basic vector concepts to a fun, new level that improves the overall learning experience. The results speak for themselves. Before James O’Brien introduced Sector Vector into his introductory engineering lectures, students were spending an average of 40 minutes in class. Afterward, they were voluntarily spending around 116 minutes in class – almost three times as long. Also to the game’s credit was the improvement in quiz scores. O’Brien conducted a study of about 200 students, all of which completed two online vector quizzes. After taking the first quiz, half of the students played Sector Vector and the other half completed traditional vector homework assignments. Students who played Sector Vector scored on average 12 percentage points higher on their second vector quiz whereas the other students improved their scores by four percentage points. 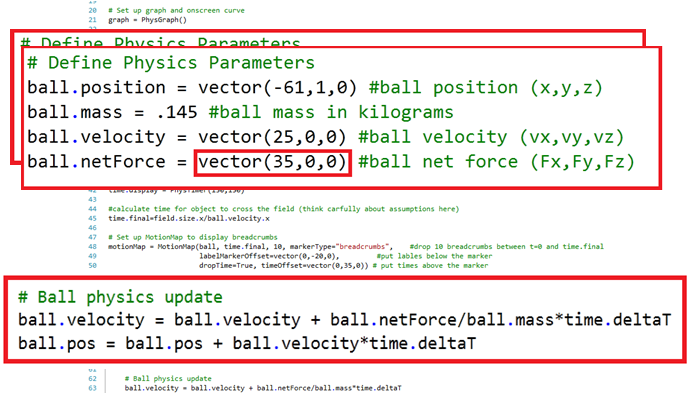 What Can You Actually Do with Newly-Released NASA Code? This Thursday, NASA will unveil a catalog of different software that their employees have designed over the years. 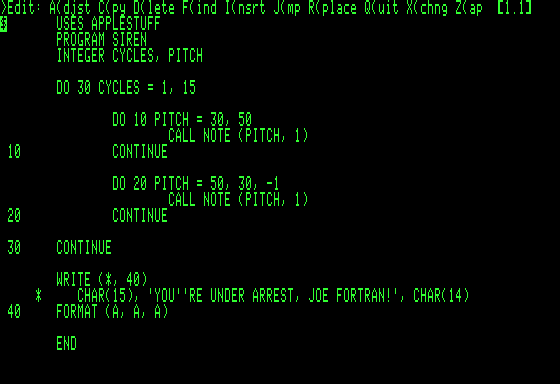 The code from a total of 1,000 software projects will become available for free and will be copy-right free, too. Judging from some of the stories about this exciting news, one might get the impression that any person in the general public can take this newly-released material and design their very own rocket project. 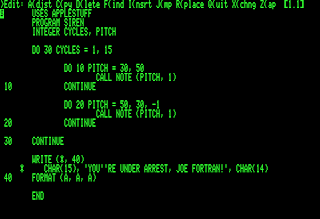 Piecing together bits of code from various sources is similar to creating Frankenstein’s monster. In the end, the different styles of arguments you have amalgamated into your finished project will make it slower and harder to understand and read for others. Yet, this is how many design their code these days. A final product is often a mishmash of code that designers dissect and extract from other software projects. Although it might be easier for someone to simply borrow pre-written code, it makes for a less desirable product overall. (ISNS) -- In most hurricanes the greatest damage is done not by the wind but from the storm surge, the mountain of water pushed by raging winds from the ocean to deluge the land. There is always a level of unpredictability when dealing with Mother Nature, but knowing where the water would go when a storm is bearing down on the coast would be useful, particularly in densely populated coastal cities such as New York, which maintains complex systems of houses, office buildings, sidewalks, basements, alleys, subway stations, and streets clogged with parked cars. Scientists at the College of William & Mary’s Virginia Institute of Marine Sciences at Gloucester Point, Va., reported they have a computer model that may do that, starting about 30 hours before the storm comes ashore. At least it worked in retrospect with the Hurricane Sandy, which devastated the East Coast in 2012. The aftermath of Hurricane Sandy in New York City. According to a new image, scientists jumped the gun when they announced Comet ISON’s death last December. A recent paper that reveals the first image of Comet ISON in visible light indicates that the comet remained intact shortly after its signals in the extreme-ultraviolet ceased upon approaching perihelion on November 28. “We took the image after the comet had gotten to its closest approach point to the Sun,” said Shadia Rifai Habbal at the University of Hawaii and an author of the paper, which appeared in The Astrophysical Journal Letters this month. “We took the image at 19:12 UT” -- 27 minutes after the comet reached perihelion, when reports had announced it as good as gone. The image is proof that the comet survived its perihelion passage, the international team reported, albeit for a short period. 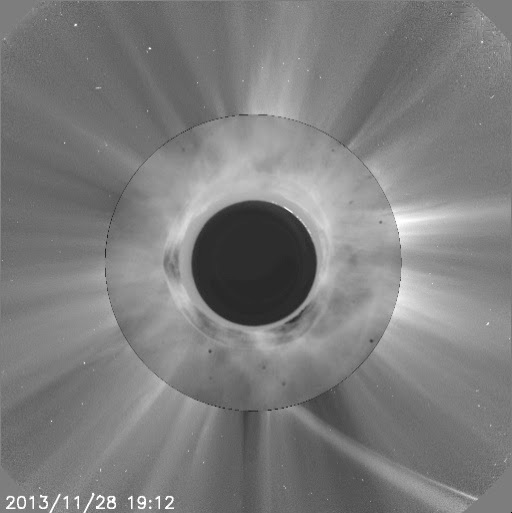 At the time that Comet ISON was approaching the Sun, Habbal and her colleagues were patiently waiting in Hawaii. Trained technicians inspect the burnt out starting solenoid. Scientists at Lawrence Livermore national Labs reported a new problem at the National Ignition Facility. Despite many repeated attempts, the central core of the machine, known as the "starter," won't engage, rendering the laser facility inoperable. 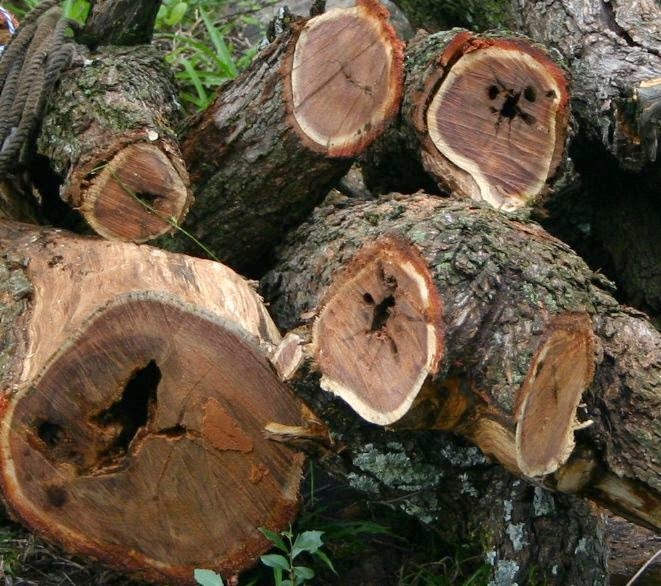 "It's a potentially serious problem," said lab scientist Theresa Nancer. "We're hoping we don't have to replace the whole unit. That could get expensive." 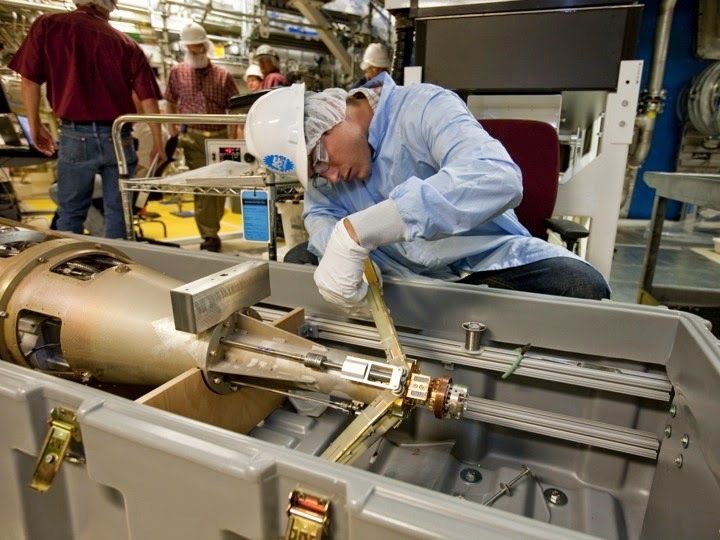 The NIF uses 192 high-powered lasers to compress and detonate a small pellet of nuclear fuel in hopes of harvesting the energy it generates. The problem at the facility was first noticed late yesterday when the machine started inexplicably losing power during some of the longer runs. This morning, when scientists tried to turn it on, they reported it only made a sort of grinding noise. 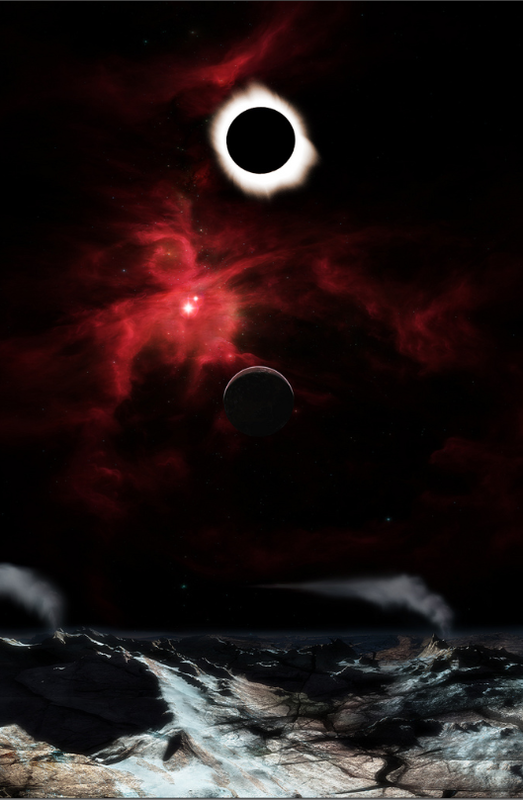 Exoplanet eclipse. Credit: Bill Lile. Two hefeweizen-fueled scientists have completed what might be the most important scientific effort since the discovery of the Jovian-Plutonian gravitational effect. Yesterday, Stephen R. Kane at the Center for Global Extinction Pandemic Control in San Francisco and his colleague Franck Zelziz in the Zombie Division for the Planetary Defense Institute in Bordeaux, France reported that not only might we, in our search for extraterrestrial life, uncover an alien race overrun with the fatal disease Spontaneous Necro-Animation Psychosis (SNAP), or Zombie-ism, but that the numbers are unnervingly high. “We have shown that there is a significantly non-zero probability that in the search for life in the universe we will also encounter large amounts of undeath [sic],” the authors report in their paper, which they have submitted for publication in the prestigious journal Necronomicon. What you are about to read may disturb you.